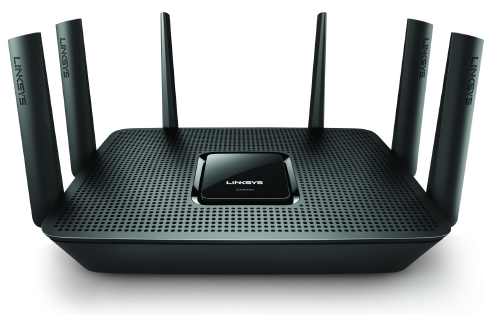 Enjoy lightning-fast Wi-Fi on all your devices with the Linksys EA9300 Max-Stream AC4000 MU-MIMO Tri-Band Router. With this, you can make your home office faster and more productive with four Gigabit ethernet ports and MU-MIMO technology. Now you can videoconference and share files without interruption, even when the rest of your family is gaming and streaming HD video. 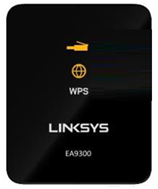 NOTE: The WPS button is located on the left side of the Linksys EA9300. 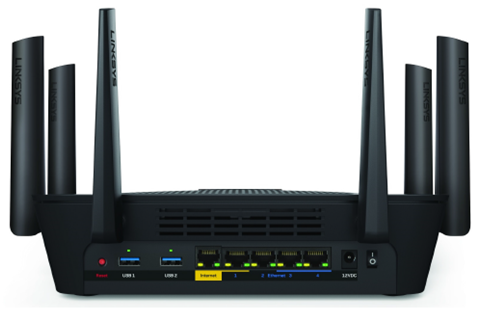 NOTE: To learn more about the indicator lights’ behavior of the Linksys EA9300, click here.